Tote bags popped up in the 1940’s as an easier alternative to carrying luggage in heavy cases and they’ve become more and more popular ever since. They come in all shapes and sizes, but traditionally tote bags are made of cloth with thick, sturdy handles or straps at a fixed length. Adjustable straps are an option for some totes, but since most users are after a simple bag adjustable straps are seen as an unnecessary expense. Whilst ‘tote bag’ could be used to describe the modern handbags used as fashion accessories all around the world today, the phrase has become more commonly associated with the smaller, more compact bags used to carry things like books, supplies and shopping in the place of plastic carrier bags. 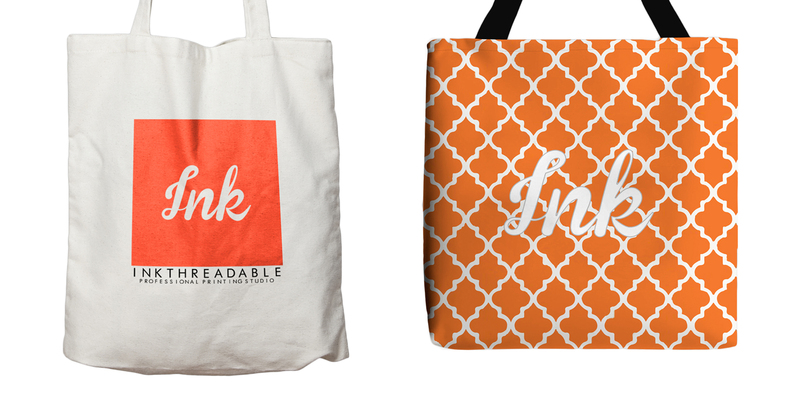 What tote bags do Inkthreadable offer? The first option is a tote bag manufactured entirely at Inkthre­adable. We start with plain polyester fabric that’s printed full-bleed using dye sublimation - this means we can get an edge-to-edge print in vibrant colours, regardless of your design.­ This printed polyester fabric is then sewn together with a cotton lining and your choice of a cotton or polyester strap. The final result is a unique tote bag option that is manufactured on-demand to your specifi­cations. Our tote bags have been designed for daily use – so they’re sturdy, hard wearing and even machine washable! Our second tote bag option comes from Westford Mill, and this is their most versatile option available. Just like blank garments, this tote is supplied in the colour of your choice before printing. There are 23 different colours to choose from so you won't be designing around limited options. We print the Westford Mill Promo Shoulder Tote using DTG (Direct To Garment), not dye sublimation like our in-house totes. Both DTG and dye sublimation offer digital quality printing, but the print finish is slightly different: where dye sublimation is cured within the fabric, DTG inks sit on top of the fabric and leave a slight underhand feel. Relabelling is not an option with this tote bag: since we don't manufacture them we can't add a label to the seam. However this style of bag is often seen more as a promotional product, where a brand's logo is printed front and centre making the need for relabelling obsolete. The Westford Mill tote can also be screen printed, making it the best option for bulk orders. It depends entirely on what you want to use your tote bags for. If you're simply listing them on your store for sale to a customer we'd have to recommend our own. The option for re-labelling, the printing method used and a choice of handles make this one of the most versatile accessories we offer for drop shipping! 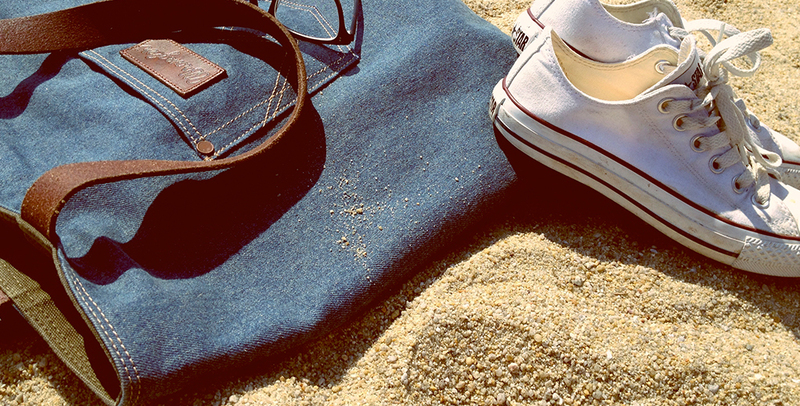 It doesn't matter what you sell, our tote bags will slip amongst the ranks comfortably. However, the Westford Mill Promo Shoulder Tote is a great alternatve. If you'd prefer a bag that follows the classic tote bag cut and shape then this is certainly the option for you, and the method used to print them on demand is capable of photo quality so you can be sure your designs will look just as amazing as you imagine. If you're undecided, why not order a sample of each? We can explain the differences between the two totes all we want but it's no substitute for seeing, feeling and using the product for yourself. If you'd like to order some samples then let us know through our contact form or by using live chat below.